Hope you are enjoying your weekend. We are staying indoors this weekend, the heat (106+) and the humidity (which is unusual around here) are really bad right now. Our swimming pool is like a sauna :( lol. Here is a card design for E.A.D. 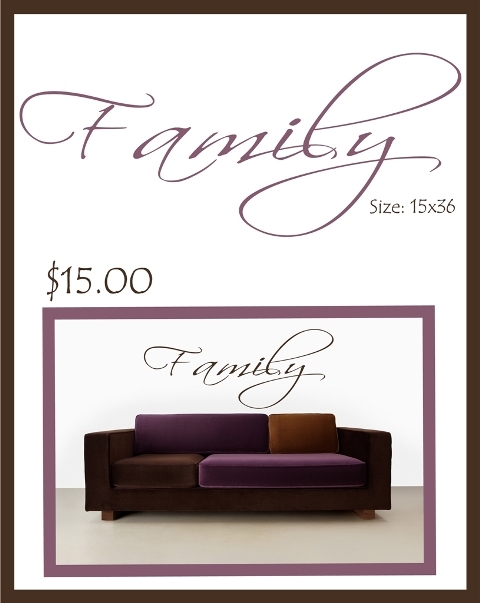 by me using the Plum Shabby Stickerz set. Also entering this in the Moxie Fab World Card Style Challenge - Classy and Elegant. 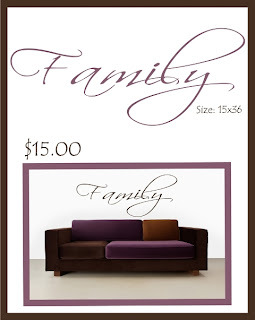 And be sure to check out this weeks Weekly Steal, this is HUGE. Its the length of a couch. And you can get it in 47 colors for only $15. Neat! Also, you can purchase E.A.D. Stickerz on Paper Maniac! Check it out... HERE! Ohhh, that is Beautiful! Sooo clean and elegant and totally classy!!! I just got these in the mail yesterday! You'll be seeing things from me soon! What a wonderful card using the E.A.D. stickers....your card is so beautiful!! I am looking forward to using some of these stickers when my prize package arrives. Love it! Love the way you did the ribbon! OH MY!!!!!!!! This is GORGEOUS:) I love love love it!! 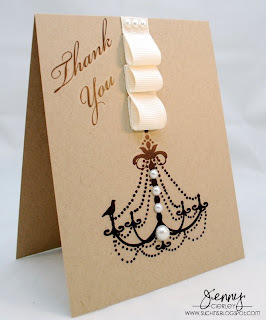 Enter it for the Moxie Fab Elegant card style challenge:) I know you would win!!! What an elegant card. Very pretty! Great job! Very elegant card - gorgeous!!! Simply elegant, especially on kraft! This is beautiful! I love the chandelier, and the ribbon treatment is gorgeous! Great job with the Moxie Fab challenge! !